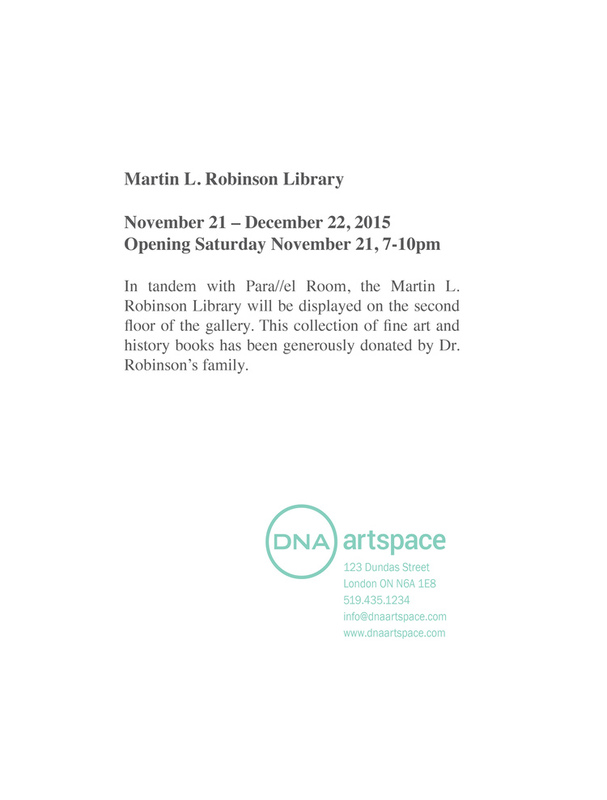 In tandem with Para//el Room, DNA artspace is pleased to present the Martin L. Robinson Library. This collection of fine art and history books has been generously donated to DNA by the family of Dr. Martin Robinson. A London-based obstetrician/gynecologist and professor at Western University, Dr. Robinson’s medical practice was matched by his significant contribution to Yemen, where he established the country’s first medical library and helped its government to implement far-reaching improvements in healthcare for women and children. 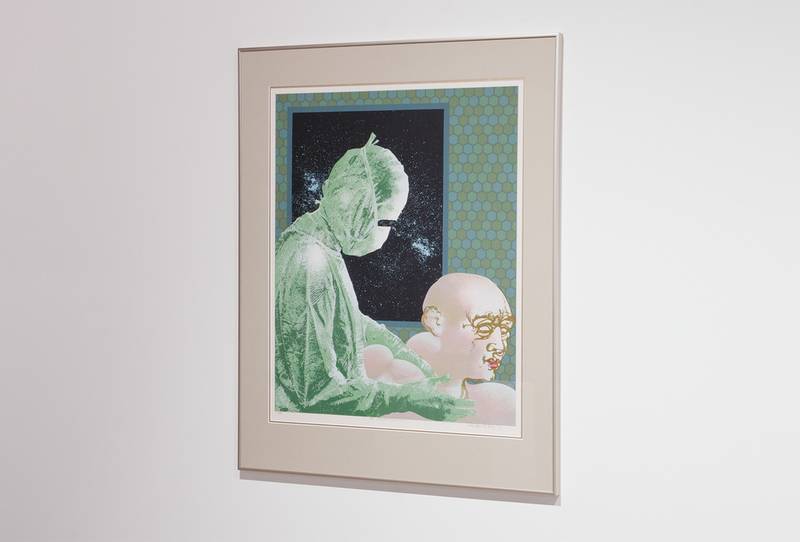 Dr. Robinson was a figure of support in the London arts community, fostering close ties as friend, collector, and mentor to Greg Curnoe, Jack Chambers, Rudolf Bikkers, Clark McDougall, and many others. 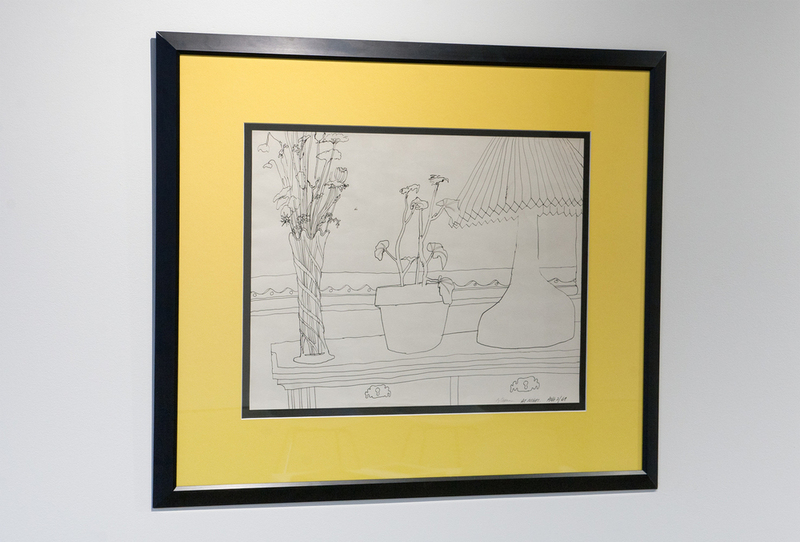 His friendship with Dr. Ross Woodman resulted in Woodman and Robinson Studio & Art Consultants, which helped to connect London’s artists with the community at large. 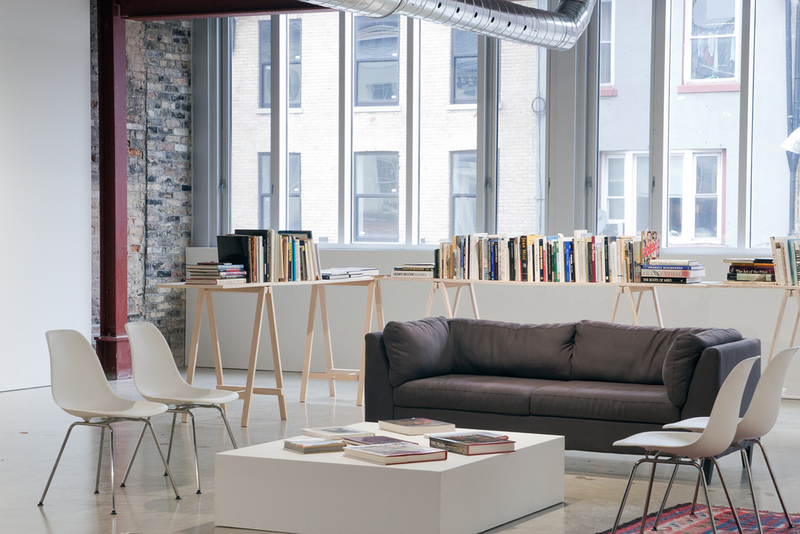 The Martin L. Robinson Library comprises a far-reaching scope of artist monographs, catalogues, history, theory, and cultural studies texts reflecting Dr. Robinson’s diverse and varied interests in modern art, craft, rugs, and history. 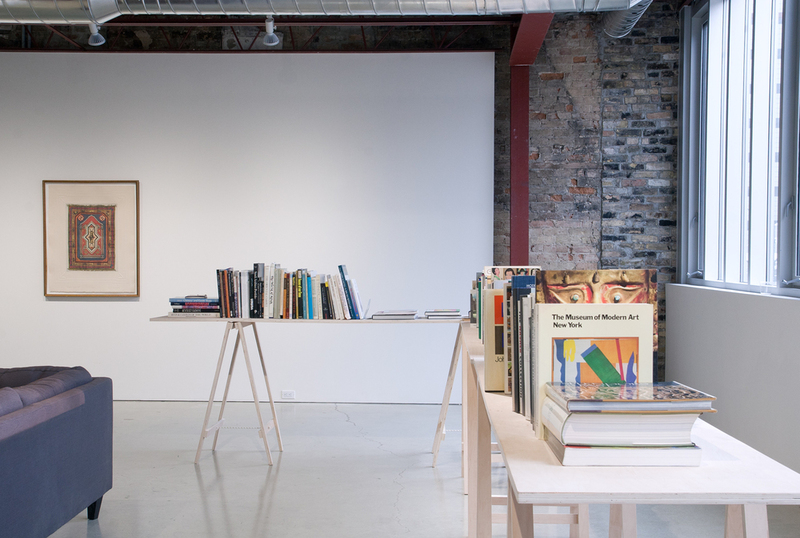 Visitors to the space are invited to explore this archive, which is installed alongside a selection of Dr. Robinson’s personal collection of works by Greg Curnoe, Rudolf Bikkers, and Bruce Weinberg. 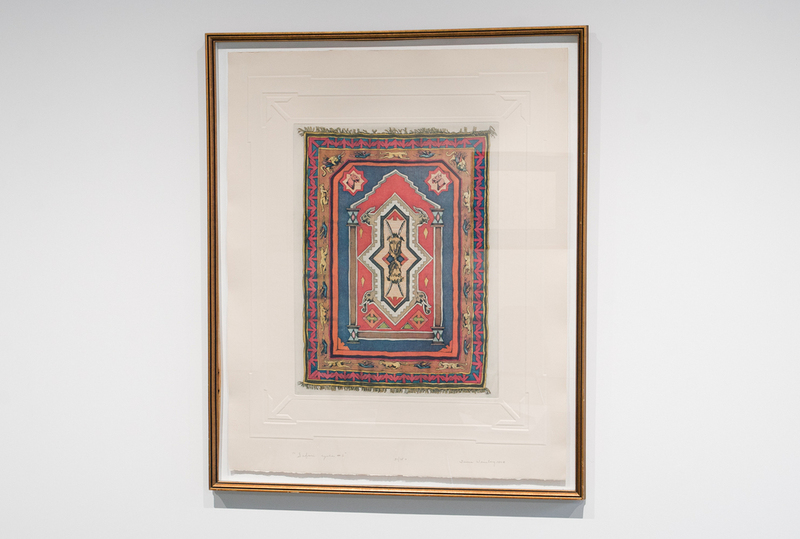 Additionally displayed are two rugs that Dr. Robinson brought back from his extensive travels abroad. DNA artspace is grateful to the Robinson family: Megan Walker and Morris Dalla Costa, Kristyan Robinson, Lisa D’Ariano, Michele Greig, and Ann MacKenzie. We also extend our appreciation to Ron and Susan Holliday for facilitating this donation.